When you hire a moving company, how much of your possessions are protected with the mover’s moving insurance? No one likes thinking about insurance, but everyone is happy to have it when they need it. Insurance during your move is something that should be on your checklist of things to do before your moving company arrives. It is important to understand what is included in the rate and decide if you need additional coverage. What’s Included In Mover’s Cost? Your moving company’s rate includes what is considered basic coverage and may not cover items of extraordinary value. 60 cents per pound of each item or the container it is packed in. If items are lost or damaged during the move, the basic coverage provided by the moving company will not likely cover the actual value of your possessions. Additional moving insurance would allow you to rest a little easier knowing your items will be protected to their full value. Third party moving insurance is recommended for additional coverage and can be purchased through movinginsurance.com. Under this coverage option, the moving insurance company will reimburse you at the depreciated value of the item. Things that are considered for valuation are the price of it new, the age of the item, and the condition the item was in before the loss or damage. Keeping an itemized inventory of what your movers will be taking will allow you to have a record of your items for insurance purposes before the movers arrive. This option will give you and your insurance provider the option to replace, reimburse, or repair any lost or damaged items. Renters and homeowners insurance will sometimes cover your move up to a certain mileage from your home. It is always smart to check with your insurance agent to understand what terms are in your policy and know what is covered. example: broken dishes or furniture that happen during the move. Although movers do everything they can to avoid damaging your belongings, accidents do happen and are a reasonable expectation of a move. Items lost by means of theft are covered and sometimes replaceable with renter and homeowners insurance. If your items are damaged by fire and/or water, your insurance will typically cover your items. Always check with your insurance agent to understand what type of damage is covered. 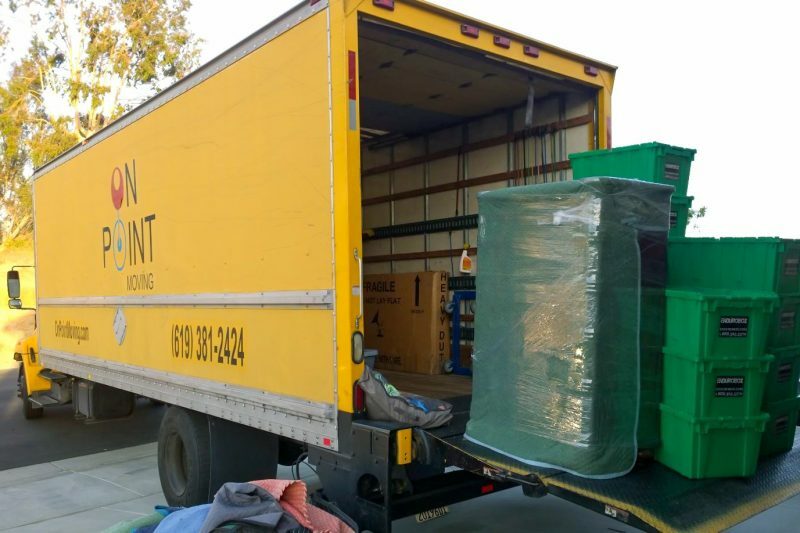 Your moving company, like On Point Moving, should be licensed and insured to protect you and your belongings. Additional insurance is always recommended and you should always make sure you understand what is included in your insurance coverage.